This is done under the RePort project, which is financed with European funds for regional development. 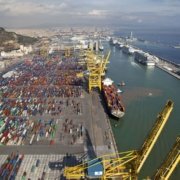 The port of Barcelona has adapted a total of 26 vehicles for its propulsion through liquefied natural gas (LNG) in an initiative led by the Port Authority of Barcelona in collaboration with ATEC, the Generalitat and Gas Natural, among other partners. 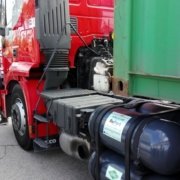 The RePort project aims to promote the use of natural gas as an alternative fuel for trucks within the port area, with the aim of reducing polluting emissions. Within the framework of the project, the engines of a total of 26 trucks have been transformed into the dual-fuel modality. 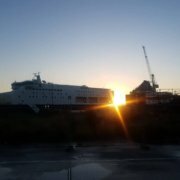 This adaptation allows the engines to use diesel and natural gas simultaneously, contributing to improve the air quality of the port and its immediate surroundings. The RePort project is integrated into the Ris3cat Movilitat Eco Community, coordinated by Ficosa and co-financed with funds from the European Regional Development Fund, and managed by the Department of Action of the Generalitat de Catalunya. 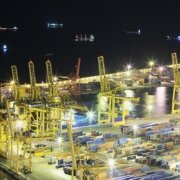 In addition to Ficosa and the Generalitat, the rest of the partners of the initiative, led by the port of Barcelona, are the Container Business Owners Association (ATEC), Gas Natural Fenosa, Barcelona Supercomputing Center (BSC), Idiada, the School of Engineering of East Barcelona (EEBE-UPC), Dimsport Spain, Renewable Technical Consulting (RTC) and the Escola Europea – Intermodal Transport. 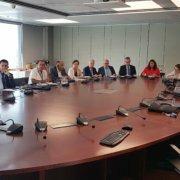 On Tuesday the 12th of June a presentation of the project detailed the tests planned for the coming months of the 26 trucks to evaluate the effectiveness of the modification. 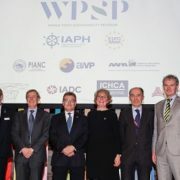 During the presentation, the president of the Port Authority Sixte Cambra, underlined that the RePort project is part of the Catalan Port’s Plan for the Improvement of Air Quality. He stressed that this plan is extremely ambitious and that there is a need to increase the use of natural gas to achieve its objectives. 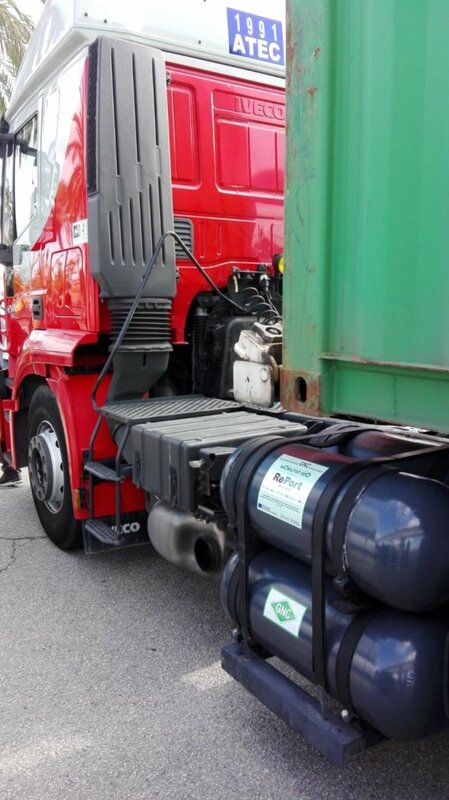 The control of gas emissions in trucks falls under the responsibility of IDIADA, while the Barcelona Supercomputing Center is responsible for the modeling of the dispersion of pollutant emissions from port activities in both port and city environments of Barcelona. In addition, the RePort project also includes the installation of a real-time monitoring system from Renewable Technical Consulting (RTC) onto each truck, wiht the aim of calculating the percentage of gas replacement along with various other parameters of the engine and the route. Gas Natural Fenosa is responsible for designing the logistics of the supply of natural gas along the main routes that the trucks make either originating or terminating in the Port of Barcelona to establish the points where it will be necessary to install points of supply of this fuel, as well as the cost that this would entails. Finally, the Escola Europea-Intermodal Transport has carried out an efficient driving course for the drivers of the 26 tractors powered by vehicular natural gas (NGV), training them also in safety and handling of this fuel. For more information about the RePort project you can consult the project page or the Port of Barcelona’s website.